YESH!!!! Another scorcher from Sabaton! The lyric video for upcoming album "Heroes". "Heroes" is to be released on Nuclear Blast Records May 16th. It's a bit of a wait, but totally worth it! 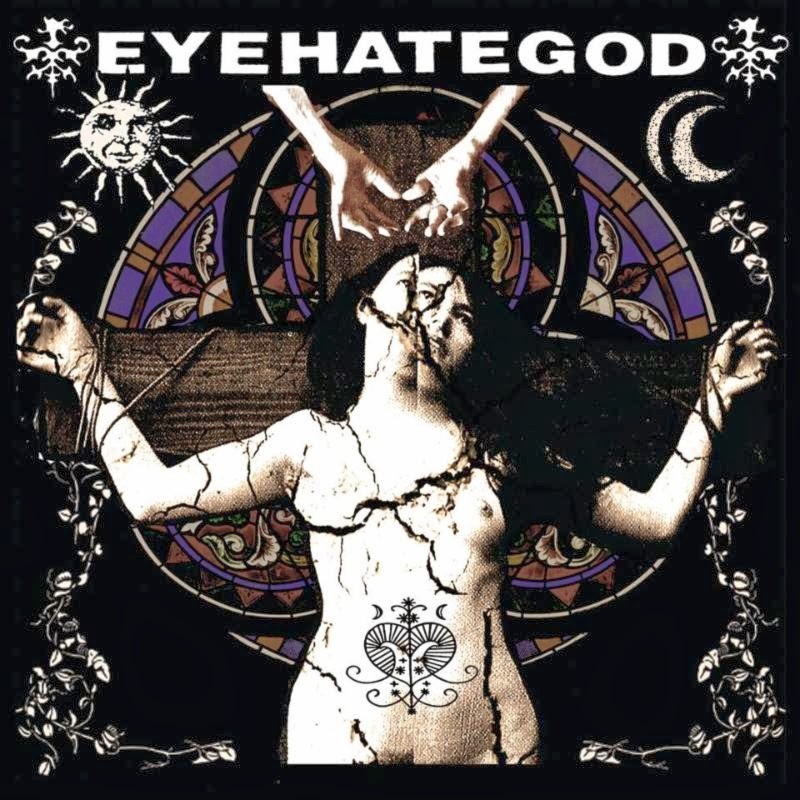 Following countless years of personal hardships, studio disasters and times of music industry indecision, New Orleans' own EYEHATEGOD, with much relief and excitement, are proud to announce the release of their brand new full-length! Entirely assembled and financed by the band, the self-titled, eleven-track long player will be released on May 27th by their partners at Housecore Records in North America, May 26th by Century Media in Europe, Australia and New Zealand and May 21st by Daymare in Japan. 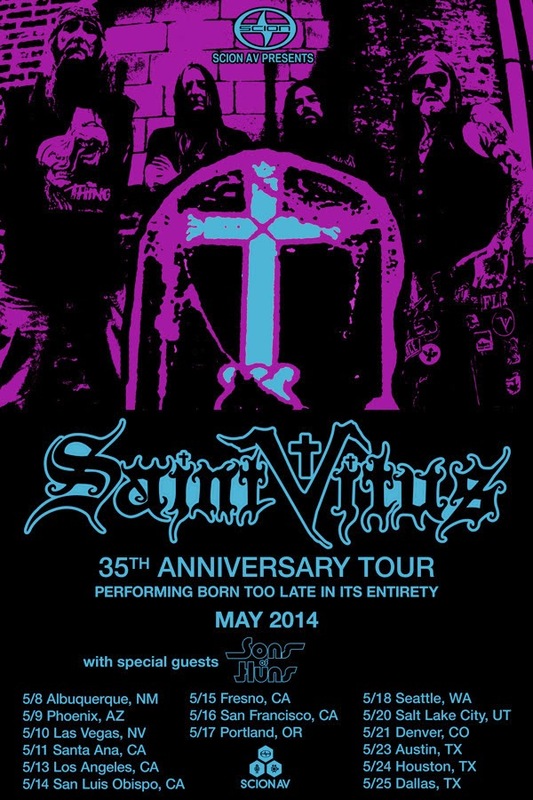 Legendary doom metal icons, SAINT VITUS, are pleased to announce a very special run of live rituals to celebrate their astounding thirty-fifth anniversary! Sponsored by Scion AV, the tour will commence on May 8th in Albuquerque and wind its way through fifteen cities, coming to a close on May 25th in Dallas. The band will be performing the planet-rumbling "Born Too Late" album -- the first SAINT VITUS outing to feature the imperious voice of Scott "Wino" Weinrich -- in its entirety alongside other renowned VITUS hymns. The band will be joined by Portland stoner rock power trio Sons Of Huns, supporting their recently released "Banishment Ritual" full-length on EasyRider Records. Comments the band of their coveted spot on the tour, "We can't be any more stoked to support one of the finest purveyors of doom and crush many cities in our wake!" Tickets go on sale Friday, March 14th. SABATON discusses the new album, working in the studio, and new lineup. 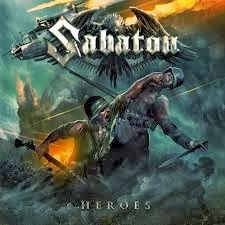 New video entitled SABATON - The Story of Heroes Chapter 1. On May 16, they will release their seventh album entitled "Heroes". 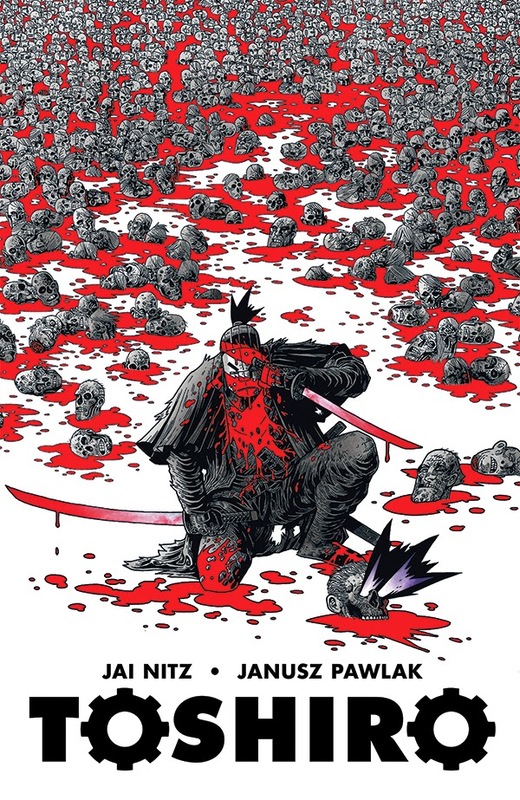 MILWAUKIE, OR—Genres collide in an adventure where steam-powered tanks clash with katanas in the new graphic novel Toshiro from writer Jai Nitz (Dream Thief) and artist Janusz Pawlak! THE AMAZING COMIC CON, COSPLAY, GAMING & ALL THINGS GEEK EXPERIENCE COMING TO ATLANTIC CITY IN 2015! MARCH 6, 2014, RED BANK, NJ - If you're a fan of comics, cosplaying, games, and all things Geek, then get ready for an awesome celebration - AC Boardwalk Con 2015! 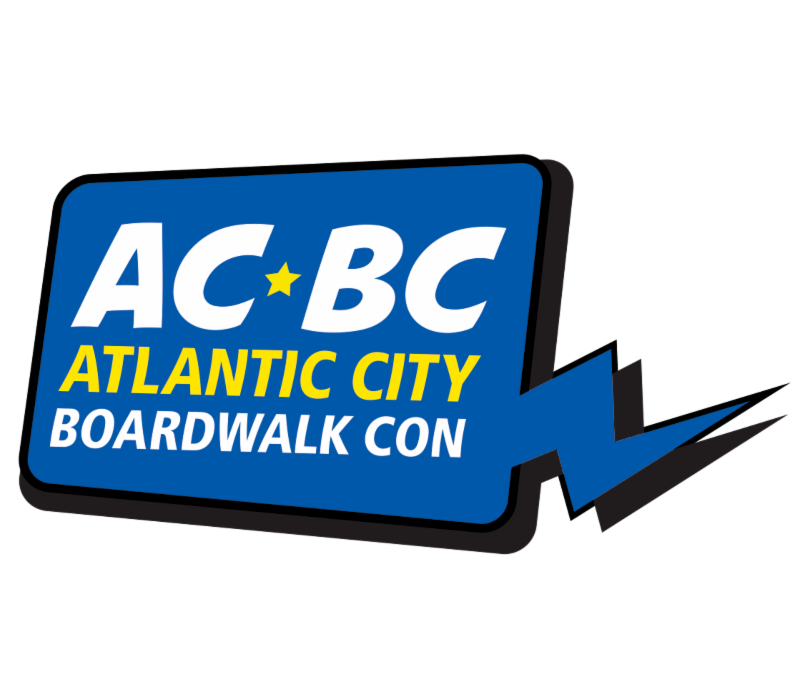 AC Boardwalk Con (ACBC) will take place over the weekend of May 14-17, 2015, in Atlantic City, NJ. This late Spring/Early Summer time frame delivers a full-fledged con experience to the East Coast at the beginning of the con season. 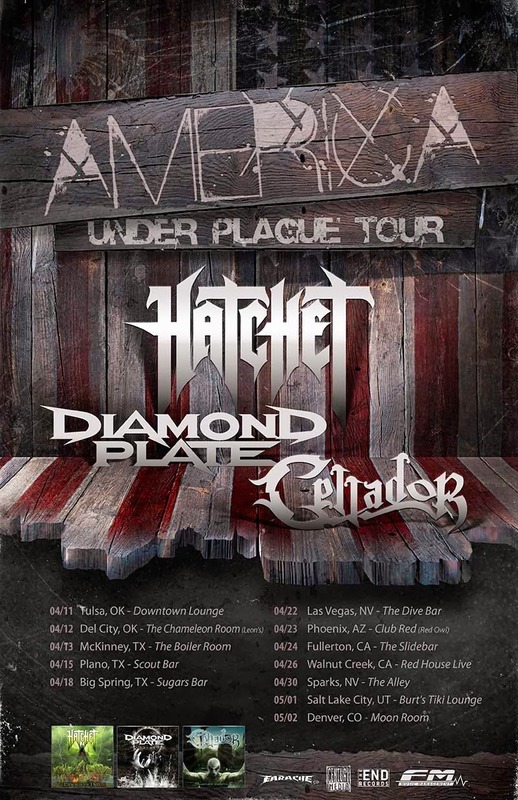 Chicago metal trio DIAMOND PLATE have confirmed a US tour with Bay Area thrashers HATCHET. The "America Under Plague" tour kicks off in Tulsa, Oklahoma on April 11th, just days after DIAMOND PLATE wrap up their current five-week US tour with EAST OF THE WALL. Also appearing on the America Under Plague tour are Colorado power metallers CELLADOR. "Back in the early days of us playing shows in Chicago, Hatchet would always be the band from California that we looked forward to bringing out to our scene the most. They even played Konrad's 18th birthday show. Years later, we're pumped to finally hit the road with our friends and bring heavy music to new scenes across the USA. The road for Diamond Plate doesn't end in 2014!" 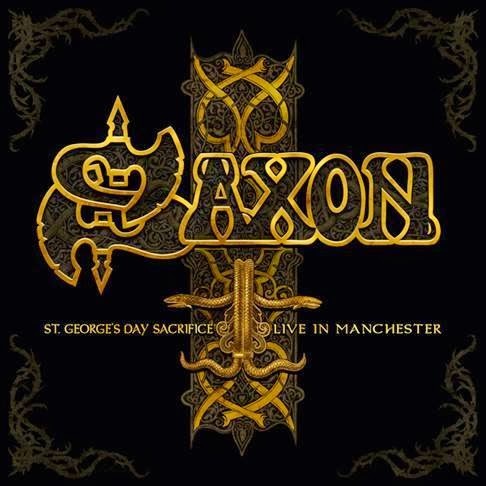 Each year, British heavy metal legends SAXON honor a fine tradition of paying homage to England’s patron Saint George by putting on a spectacular annual show on St. George’s Day (April 23rd). The band’s new live album, "St. George’s Day Sacrifice – Live in Manchester", was recorded at last year’s performance on that special day at The Ritz in Manchester, England during the band’s ‘Sacrifice World Tour’. The album, mixed and mastered by Andy Sneap and produced by SAXON vocalist Biff Byford, hits stores in the U.S. on April 29, 2014 via UDR Music. This 2 CD set (also available in digital format) covers a collection of SAXON’s finest work from 1979 up to 2013, including a very special rendition of ‘Broken Heroes' dedicated to The British Armed Forces.